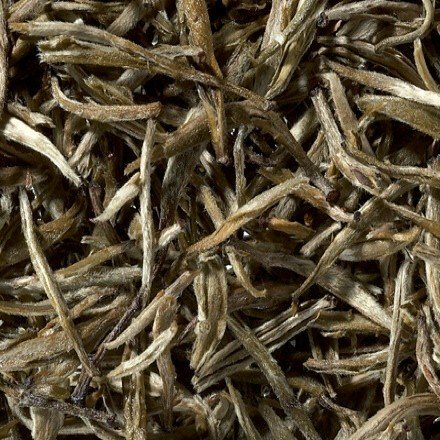 Silvery needles tea - Monsieur T.
The Silvery Needle is native to the north of Fujian Province, where white tea was produced for the first time. Growing at an altitude between 2800 and 3300 feet, climate, soil conditions and morning fog are the key to this delicate tea. 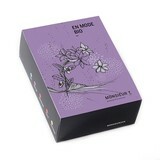 Exclusively served to the Chinese imperial family for centuries, this tea is harvested by hand only two days a year. The leaves are of a unique and silvery beauty. Slightly pink once infused, the Silver Needle is enhanced with a subtle apricot taste. Contains: White tea from Fujian Province in China.